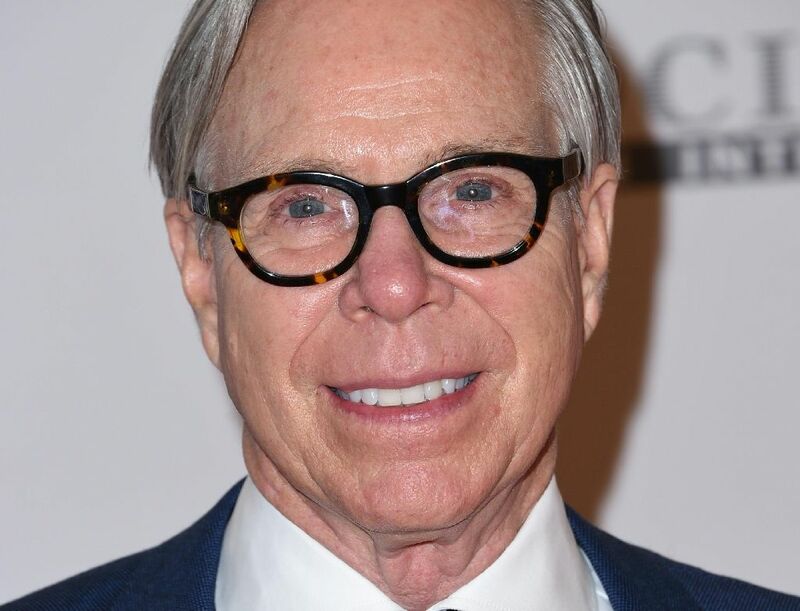 London - Designer Tommy Hilfiger will present his first catwalk show outside the United States on Tuesday, closing London Fashion Week with a collection taking inspiration from the British music scene. The much-anticipated showcase of Hilfiger's Spring/Summer 2018 collection will bring a touch of sportswear chic to Fashion Week, closing the five-day event with a high-profile bang. The 66-year-old American designer, king of a fashion empire which last year saw sales of $6.6 billion, has picked the Roundhouse as a venue, an arts space known for concerts by legendary stars like Jimi Hendrix, Pink Floyd and David Bowie. The choice recalls Hilfiger's early experiences of seeking inspiration in the British capital. "I started to come to London when I was a teen because I wanted to explore the whole lifestyle and I was obsessed with fashion. I wanted to see what was going on in London," he told AFP at the fashion house's London showroom. He found flair in British bands of the period -- naming the Beatles, Led Zeppelin, The Who, Eric Clapton and Small Faces as influences. "They had a sense of style that was very different to anyone else," said Hilfiger, dressed in jeans and a gilet. It is this "heritage of British rock" that the designer will celebrate Tuesday with a show created in collaboration with model Gigi Hadid. "Gigi is very involved with designing the Gigi Tommy collection with us. So a lot of the ideas came from her style," he said, describing Hadid's taste as street, sport and fun. The collaboration will also promote the brand's online presence thanks to the social media profile of the model, who boasts nearly 36 million Instagram followers. Tuesday will mark the third time Hilfiger presents his "TOMMYNOW" concept, an on-the-road catwalk similar to a band tour. The idea has already proven successful on home soil, with stops in New York last year and Los Angeles in February, each bringing with it extravagance and extraordinary costs. Hilfiger has been able to make them profitable, adopting the "see now, buy now" immediate sale approach which has emerged over the past few seasons -- a trend which he is certain will not be going away. The designer has taken the idea even further by creating an app which enables guests to take a photo of a model and buy their outfit instantly. "Young people especially, they see something on the runway or they see something that looks cool, they want to wear it the next day. They don't want to see it on the runway and wait six months to buy it," said Hilfiger. The designer sees the digital age -- and the social media hype that comes with it -- as an irreversible trend and an opportunity to be seized. "I think we have to continue to move forward and we have to embrace it," he said. Other than Hilfiger, London Fashion Week saw another big name hit the catwalk on Sunday: Giorgio Armani. The involvement of both designers in this year's event has been a boost for the British fashion scene, which is well-known for bold young designers but has, apart from Burberry, often lacked major brands. Their presence is especially welcome in light of Brexit, which has prompted fears of a flight of talent and capital from the UK and has exposed the country to considerable economic uncertainty. Designer Tommy Hilfiger will present his first catwalk show outside the United States on Tuesday, closing London Fashion Week with a collection taking inspiration from the British music scene.